Machine appliqué mini quilt, my design. Broderie perse appliqué with fabric marker mini quilt. My design. Broderie perse appliqué mini quilt, my design. Broderie perse appliqué, my design. 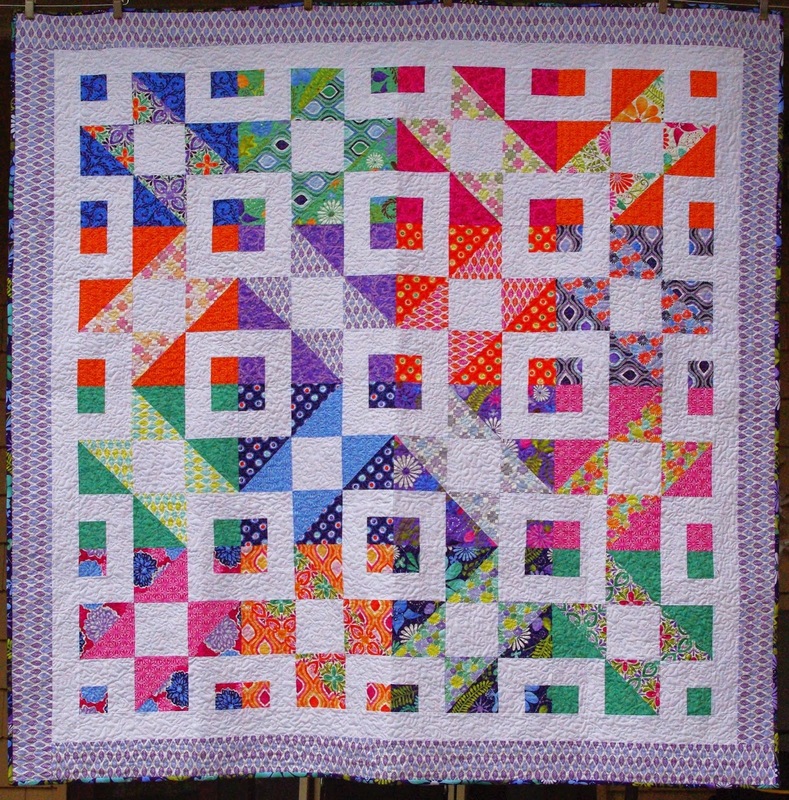 Broderie perse appliqué mini quilt. My design. 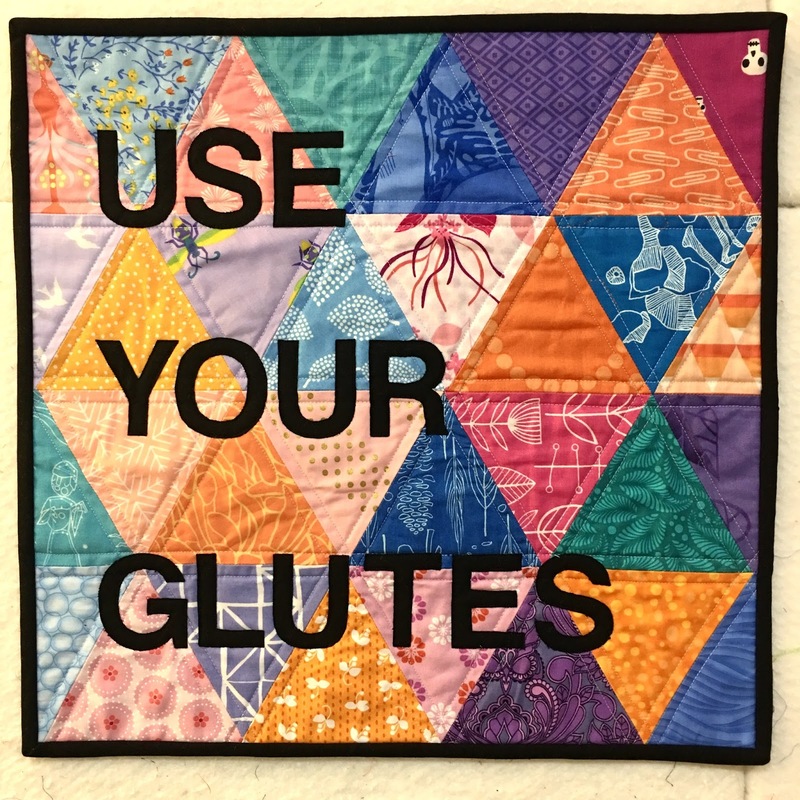 Mini quilt, using our family motto for "try hard and believe in yourself." My design. 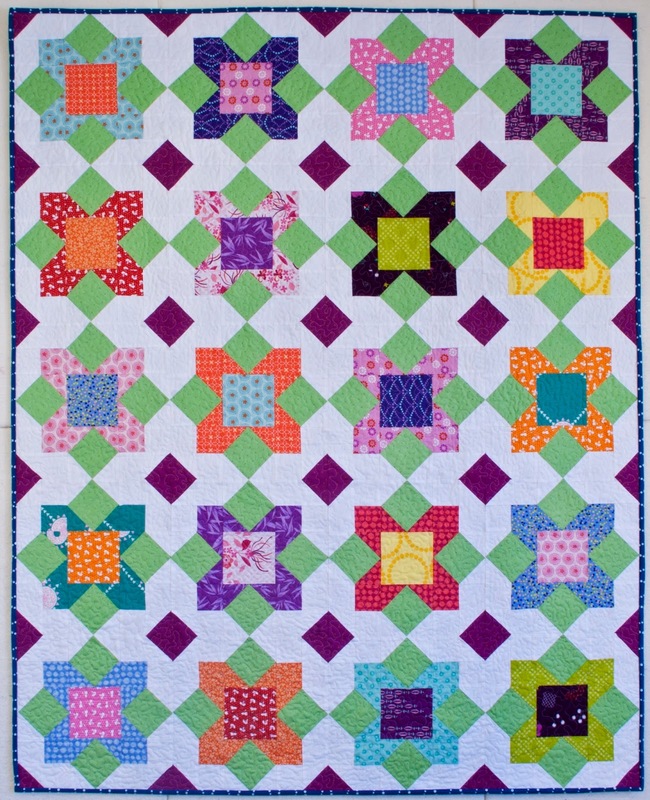 A mini-quilt of my own design using broderie perse appliqué. Made from Up and Away mini quilt pattern by Whole Circle Studio (octopus is my own addition). Paper piecing, appliqué, trapunto, free motion quilting, hand quilting, and embroidery. My design, pattern available as a PDF here. My design, based upon traditional dresden plate patterns. Uses all Tula Pink fabric, and all dresden plates are hand appliquéd. 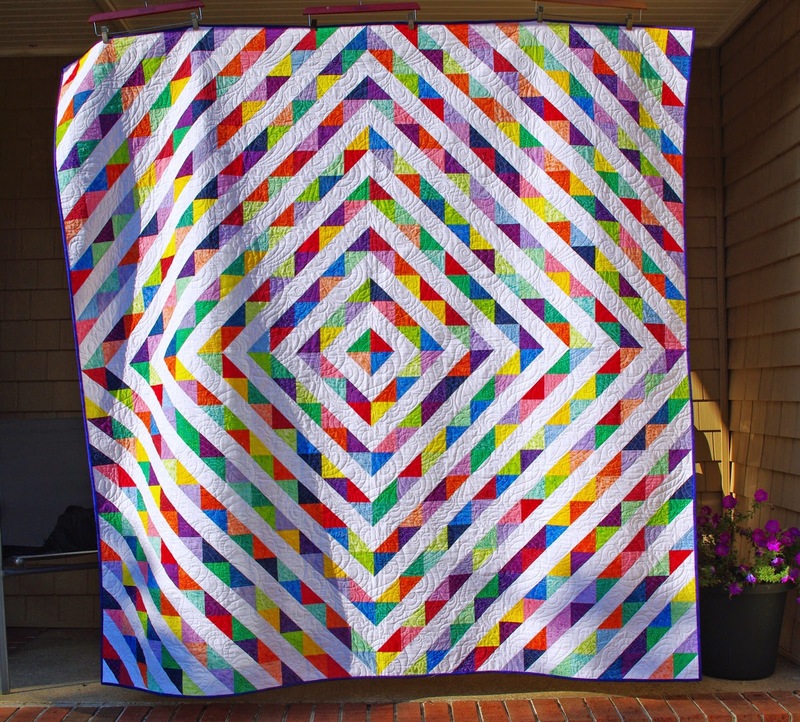 Machine quilting by Karlee Porter. 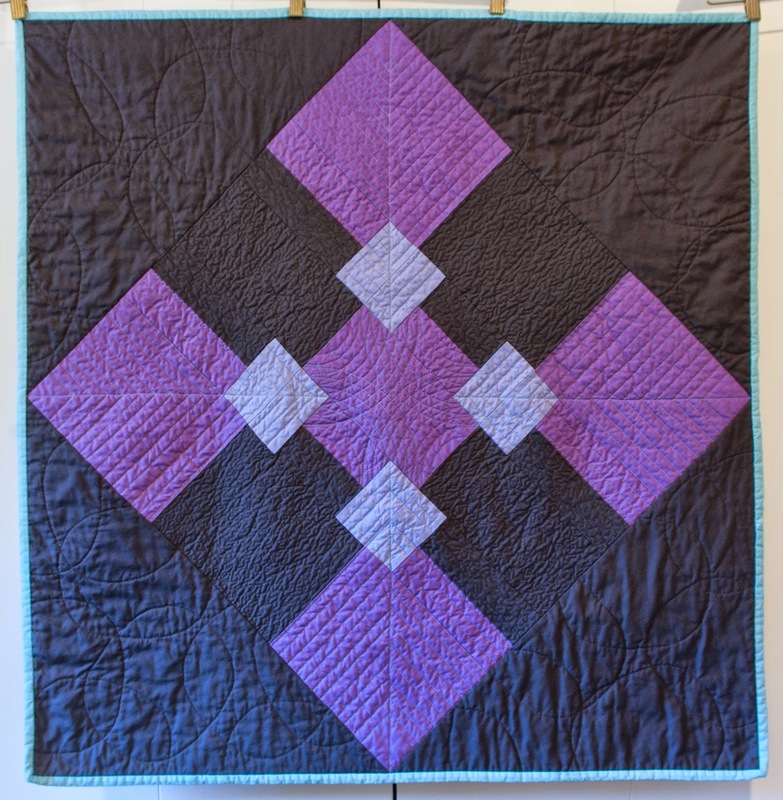 My design, pieced by me and machine quilted by Lisa Sipes. Appears on the cover of the January/February 2015 issue of Generation Q Magazine. Original design. Tutorial can be found here. Original design. A bit of an experiment in both design and free motion quilting. 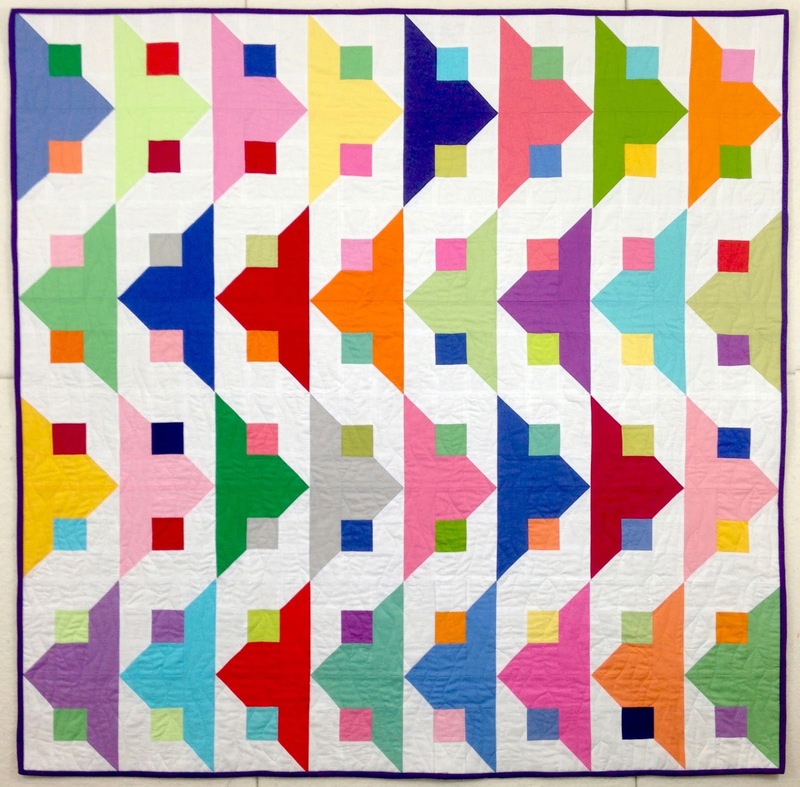 Made using Sam Hunter's letter patterns from her book Quilt Talk and published in that book as part of a gallery of examples in 2014. Sewing machine is my design and is appliquéd and embroidered. 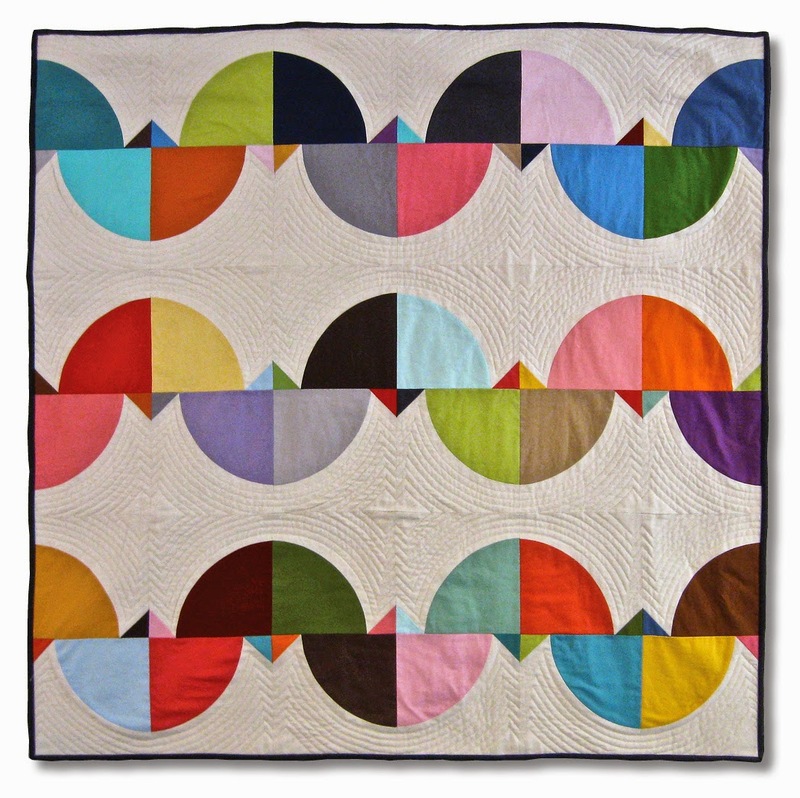 Machine quilting by Lisa Sipes. I combined a couple Anna Maria Horner lines with a Joel Dewberry collection and used a mock cathedral window method I found here. 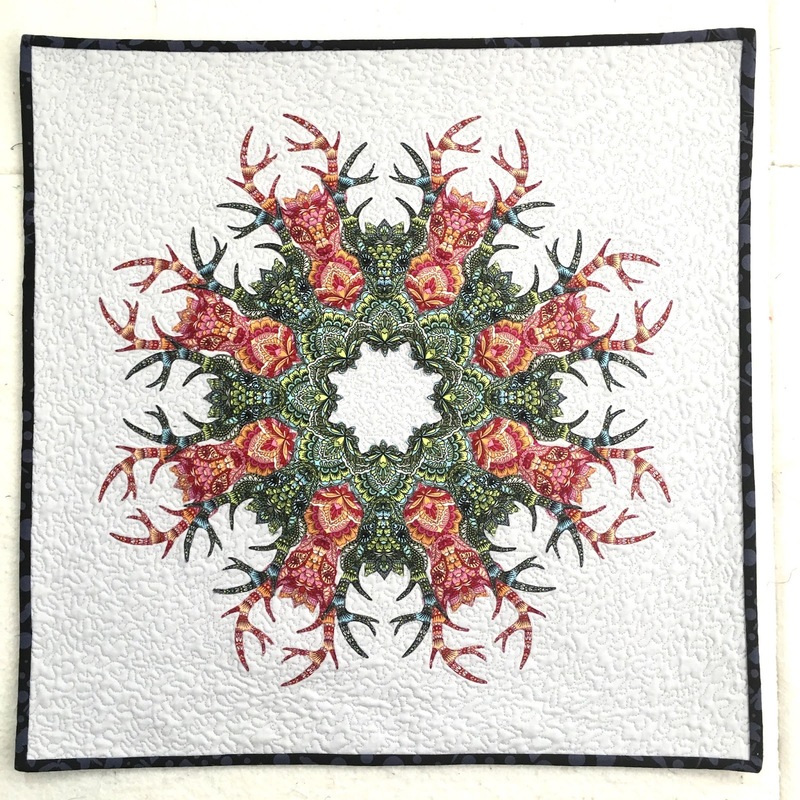 This was a free pattern from Kate Spain for Moda using her Terrain collection. 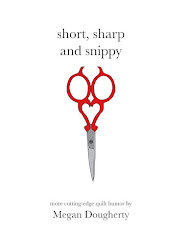 (Pattern can be found here.) 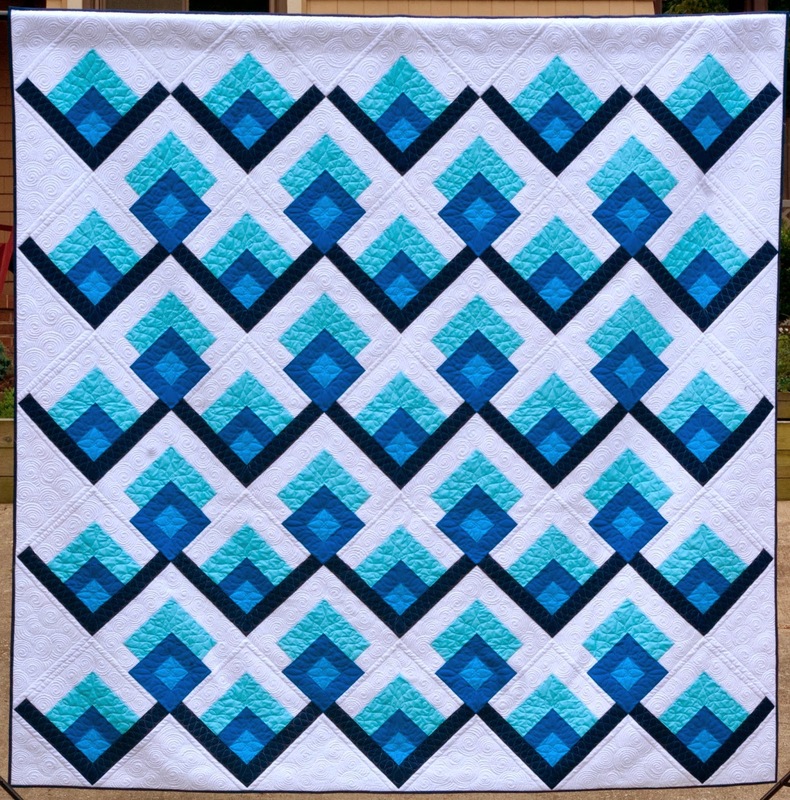 FMQ by little old me. That's 676 half-square triangles. 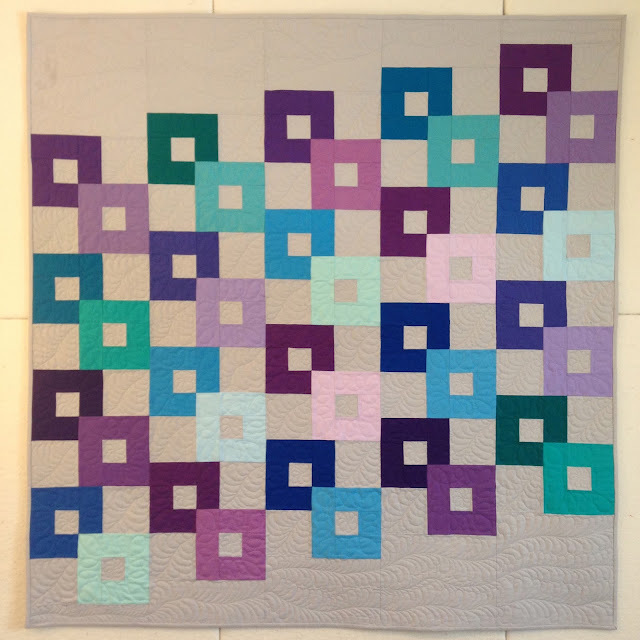 Though it's a traditional arrangement, it was my first attempt to make a quilt without a pattern. I named it George Jr because I thought it was so gorgeous it looked like George Clooney and a stack of Hoffman batiks made sweet, sweet love and had a baby. 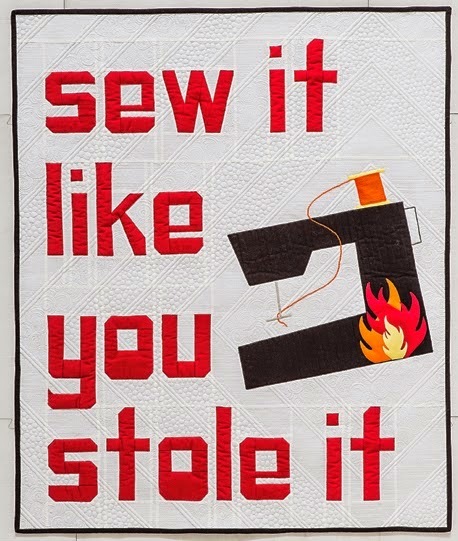 It was quilted by Kelly Cunningham. Pattern is Boxy Stars by Bonnie Hunter. When my brother was diagnosed with brain cancer in 2010, one of my readers gifted me a plane ticket so I could go see him when I couldn't afford to. 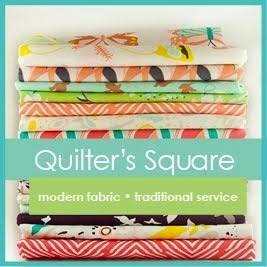 This is the quilt I made for her in return. 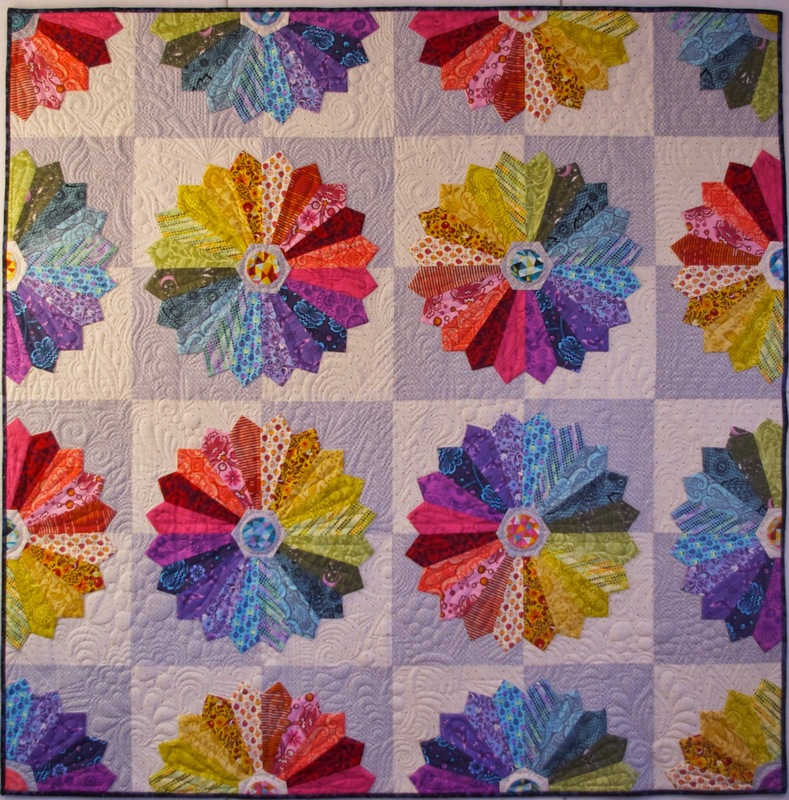 It was quilted by Lisa Sipes.